Customizable, scalable, proven, and reliable communications for mission-critical and business-critical environments. Emergency response centers are intense environments that often house and direct several government and civic organizations. Things escalate and change quickly so the environment must be capable of catering to drastic shifts in information and work flow. There’s a lot riding on your dispatch console. That’s why our systems provide the most effective tools available for managing a range of operations—from routine to mission-critical. Console systems bring together all the critical communications assets of a command center to enhance dispatcher efficiency. We support multiple protocols and interface standards with a redundant and modular software component. Software-based dispatch and communications you can count on. Scout is a collection of Windows software applications and services that communicate over IP networks. Scout is pure IP end-to-end. This allows Scout systems to be installed with any combination of localized or geographically distributed components required to meet the end user’s needs, both now and in the future. 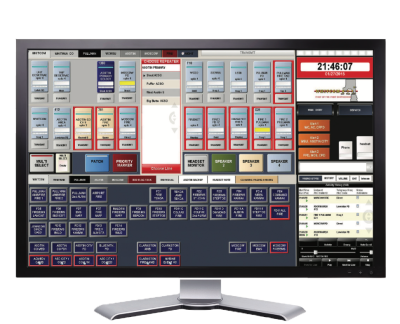 Arguably the most dynamic ergonomic solution for the 24/7 emergency dispatch facility, the innovative Evans Dispatch™ III console is in a class of its own. No longer must you choose between durability and design. Our custom console furniture solutions incorporate the latest in cable management, technology integration and design, while offering a fully scalable and flexible solution. The modular structure of the Dispatch III provides efficient equipment and cable management necessary in any critical environment. 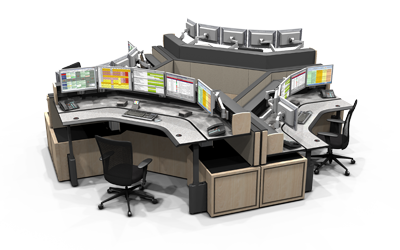 Arguably the most dynamic ergonomic solution for the 24/7 emergency dispatch facility, we offer an innovative console that is in a class of its own. 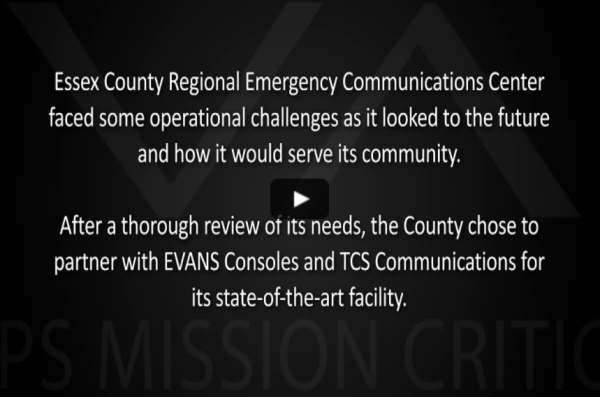 When faced with operational challenges as it looked to future growth, Essex County Regional Communications Center turned to TCS Communications and EVANS Consoles to solve its challenges while meeting their specifications to better service 1.8 million people. Crafted for ‘the now’ but built to sustain their team and center’s growth, EVANS understood the importance of creating this space for optimal performance. With countless requirements to create the right layout, maximizing every square inch and incorporate the right finishes, EVANS’ strictest quality standards ensured that Essex County’s Emergency Dispatch Communications Center was designed to be safe, environmentally and ergonomically friendly. As Essex County continues to evolve, their newly designed facility with open sightlines enriches communication between all dispatchers, supervisors and managers, creating a better foundation for teamwork during a wide range of emergencies. mobile, remote, and geographically diverse operations.